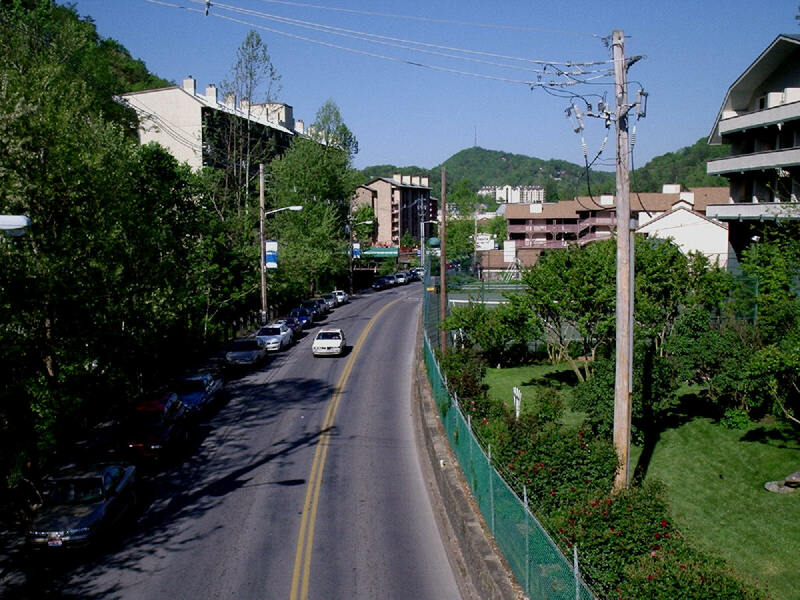 On the left is a picture of River Road taken from the Skylift. It shows the Edgepark Whaley Motel in the distance. The Edgepark Whaley Motel is another old-time motel that has been torn down in the 2000s. They closed circa 2010. The picture on the right shows a close-up of the motel. 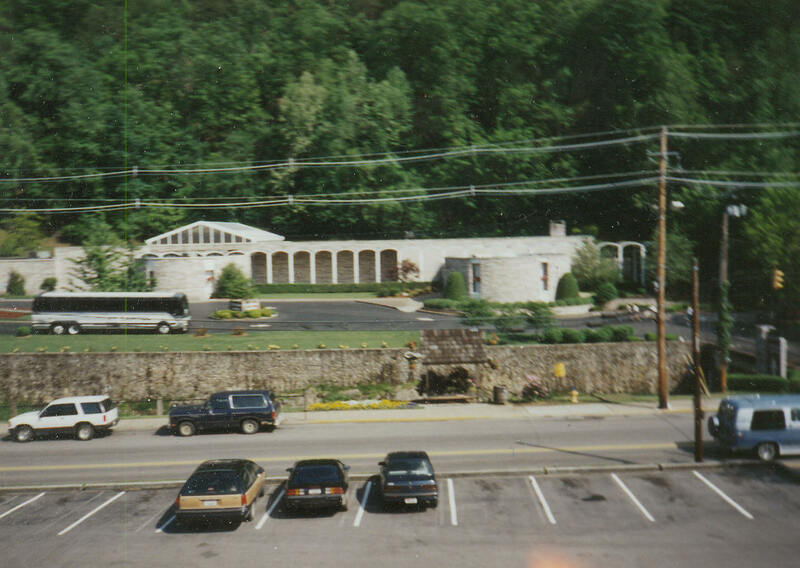 Christus Gardens was one of the oldest attractions in Gatlinburg as pictured on the left. 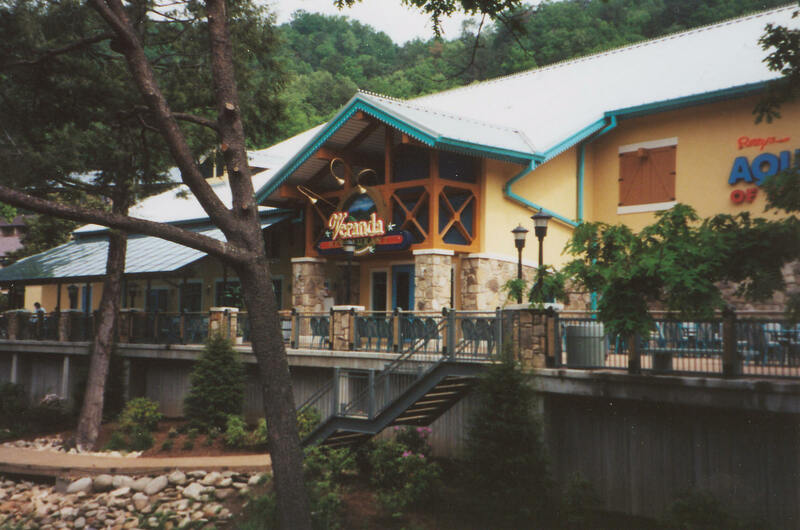 It closed circa 2009, and has since reopenned as Christ In The Smokies as pictured on right. Some video footage of Christus Gardens outside after it had closed and before Christ in the Smokies openned. 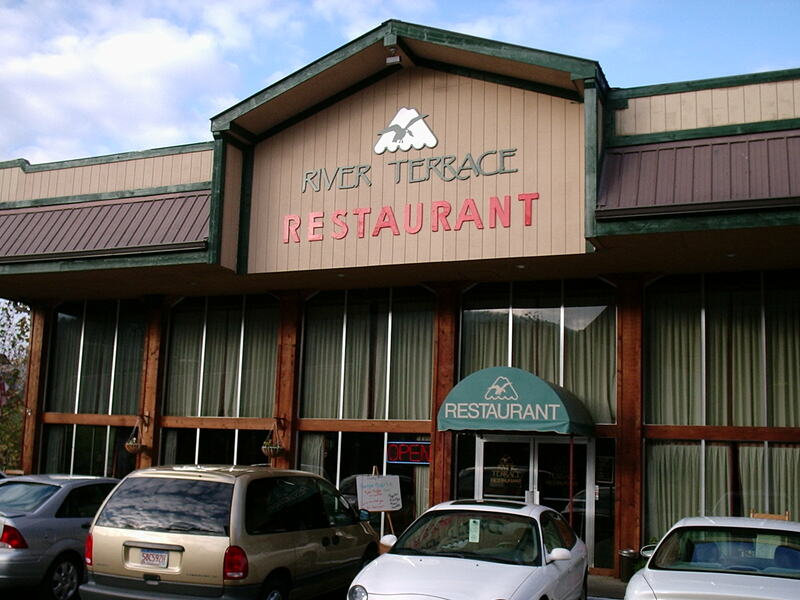 The top two pictures and the bottom left picture shows The River Terrace Restaurant at the River Terrace Hotel. It has been remodeled as The Gatlinburger Grill as the picture on the bottom right shows. 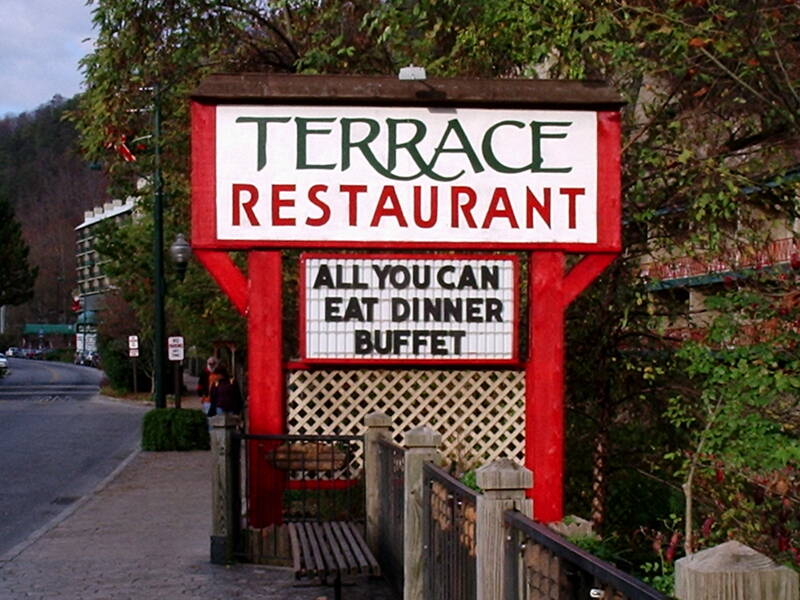 Some very brief footage of the River Terrace Restaurant from 2003. When Ripley's Aquarium openned, it openned with the Veranda Restaurant as show in the two pictures above. Veranda Restaurant was eventually replacedby Penquin Playhouse.